This program is intended for students who are interested in helping and treating patients to achieve the highest level of care outside of the hospital. Prospective students should have an interest in the pathophysiology of disease, mathematic competence, and should be able to function effectively in a dynamic work environment. Paramedics must be confident leaders who can accept the challenge and high degree of responsibility that is required for the position. They must have excellent judgment and be able to prioritize decisions and act quickly in the best interest of the patient. In addition, paramedics must be self-disciplined, utilize communication skills to develop rapport with patients/significant others from diverse ages and cultural groups, and function independently at an optimum level in a nonstructured, changing environment. The program meets or exceeds the National Standard Curriculum set forth by the U.S. Department of Transportation, and adheres to New Jersey State Paramedic Regulations NJAC 8:41 and 8:41A. The program is approved and sanctioned by the New Jersey Department of Health and Human Services – Office of Emergency Medical Services www.state.nj.us/health/ems/. The Union County College Paramedic Emergency Health Science Program is accredited by the Commission on Accreditation of Allied Health Education Programs (www.caahep.org) upon the recommendation of the Committee on Accreditation of Educational Programs for the Emergency Medical Services Professions (CoAEMSP). Have a current New Jersey EMT and Health Care Provider CPR certification. Have a New Jersey Driver’s License with clean record. Communicate effectively with patients and their family members/significant others, and professional colleagues. Graduate of the program will obtain national and New Jersey Paramedic Certification making them eligible for a Paramedic service nationally. Graduates can transfer to a four-year institution for continuation in a bachelor’s degree program. Prior to enrollment in the Paramedic Program, students need to have completed all developmental course work in English and math, and received sponsorship from a clinical hospital site. 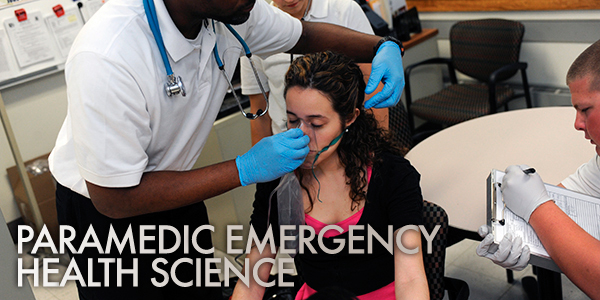 Students are encouraged to complete the general education requirements prior to enrollment, as the Paramedic Program is a rigorous and time-intensive curriculum. BIO 105 - Anatomy and Physiology I 4 credit hours. MAT 113 - Math Applications 3 credit hours. PSY 101 - General Psychology 3 credit hours. PMD 110 - Paramedic I 11 credit hours. PMD 113 - Paramedic Clinical I 2 credit hours. PMD 114 - Paramedic Clinical II 3 credit hours. PMD 213 - Paramedic II 11 credit hours. PMD 214 - Paramedic Clinical III 5 credit hours. PMD 215 - Paramedic Field Internship 11 credit hours.